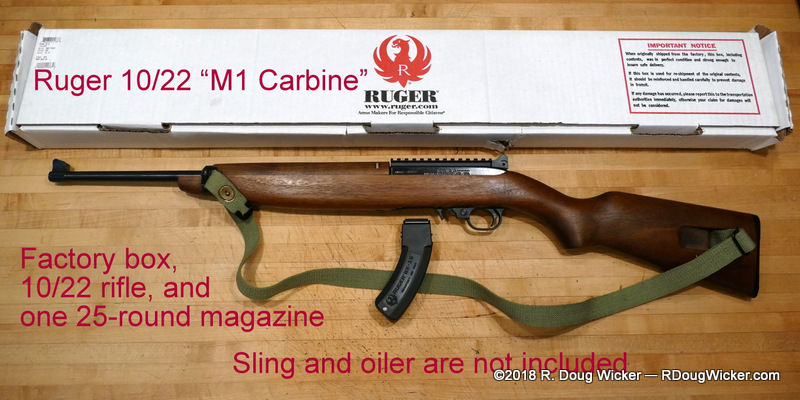 In the past several weeks Ruger has released the latest version of their venerable, reliable Mini-14. 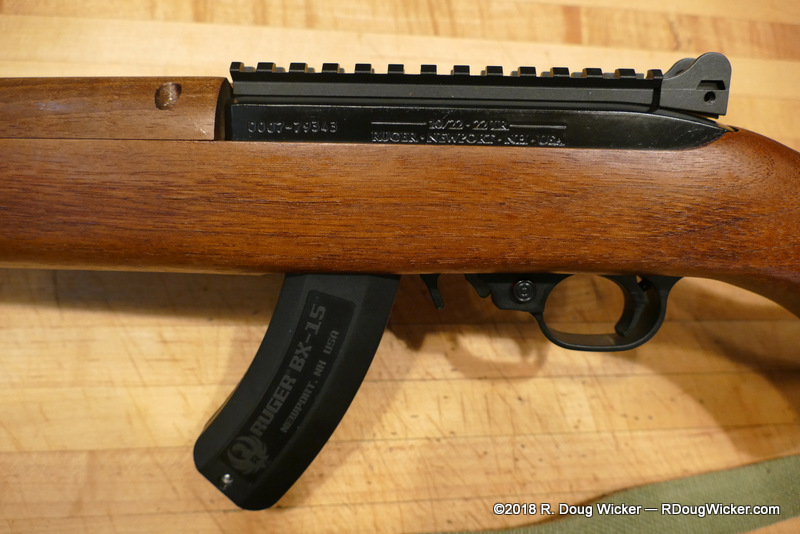 No, it’s not another variation of the classic Ranch Rifle. 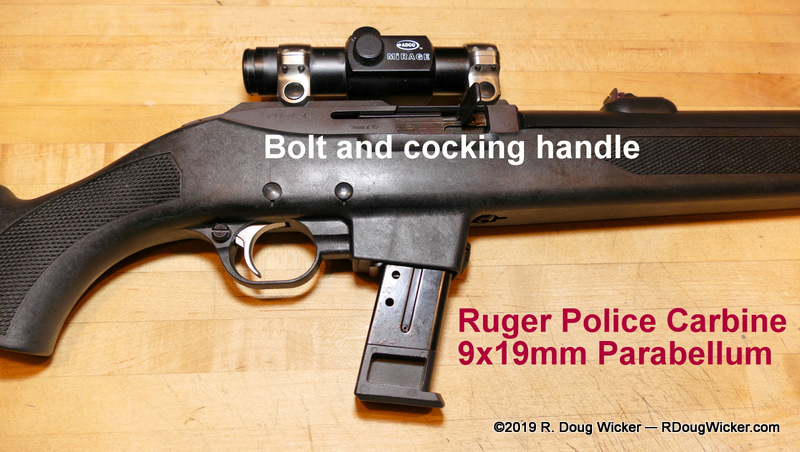 It’s also not an addition to Ruger’s highly accurate Target models. 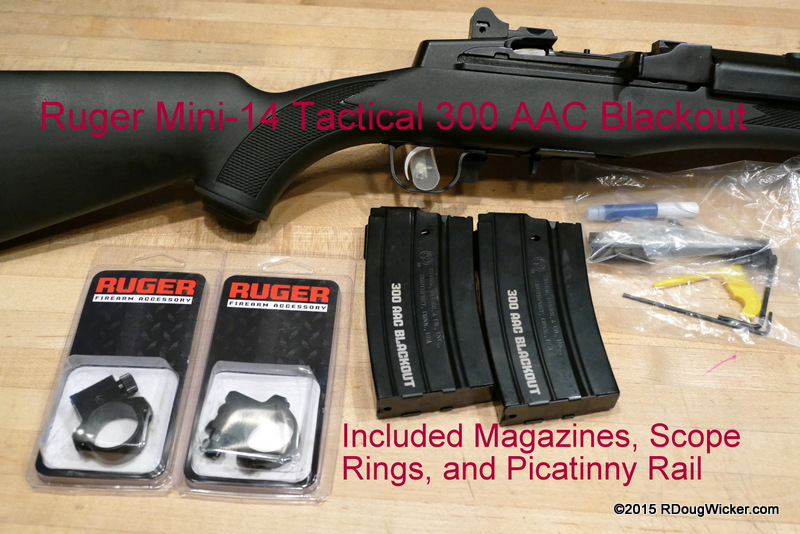 Instead, there’s a new entry into the Mini-14 Tactical line, and this addition has me very excited because Ruger has never before offered a Mini-14 in this caliber — the incredibly versatile, suppressor-friendly 300 AAC Blackout. What is 300 AAC Blackout ammunition? First, a little history. In 1962 the U.S. Army began deploying as their primary weapon the M16 chambered in NATO 5.56x45mm, which is for all practical purposes an extremely hyped-up .22 caliber round (.223 to be exact) that packs a lot of punch out of the M16’s original 20-inch/508mm barrel. When the Army found that most engagements were inside of 100 yards/92 meters, and many modern battlefield engagements are in an urban setting, the Army opted to reduce the M16’s barrel length to something more suitable to what they were encountering. The result is the M4, a descendant of the M16 with a shorter 14.5inch/370mm barrel. Problem is that loss of 5.5 inches/128mm adversely impacts the effectiveness of the 5.56 round. Not a lot, but enough. Then there’s the inability to properly suppress a supersonic round, which is something our Special Forces like to do on occasion. This limitation and others led Advanced Armament Corporation to look at the existing M4 and see if they could come up with something a bit better. 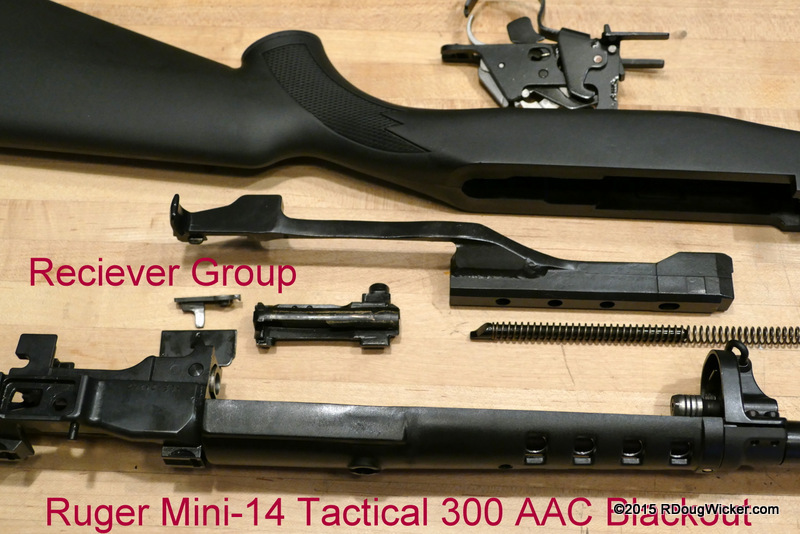 What AAC came up with is probably the most versatile round ever produced — the 300 AAC Blackout. The 300 BLK, as it is more commonly known, comes in everything from a 110-grain/7.13-gram supersonic round to a 220-grain/14.26-gram subsonic round with perhaps dozens of intermediate loads available in between these two extremes. But the advantages don’t stop there. The 300 BLK can use the existing M16/M4 lower and M16/M4 magazines with only a simple swap out of the upper. Additionally, the 300 BLK offers better performance out of a 9-inch/229mm barrel than the 5.56 can achieve out of the M4’s 14.5-inch/370mm barrel. 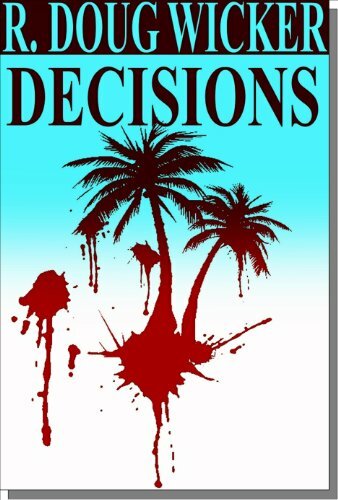 How does all this translate to the civilian world? 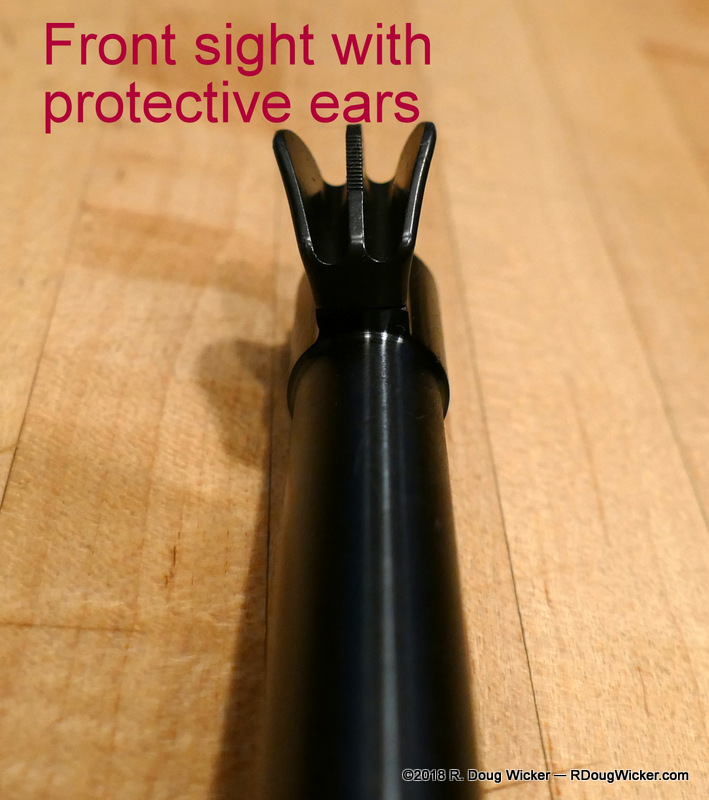 It means you have a weapon that is suitable for everything from medium game hunting, to plinking, to serious target practice at intermediate distances, to home defense with suppressor capability all in one convenient package. That’s pretty versatile indeed. All this versatility also means that U.S. forces can switch from longer-range supersonic rounds to suppressed subsonic rounds merely by attaching a suppressor to the end of the barrel and swapping out the ammunition in their magazines. 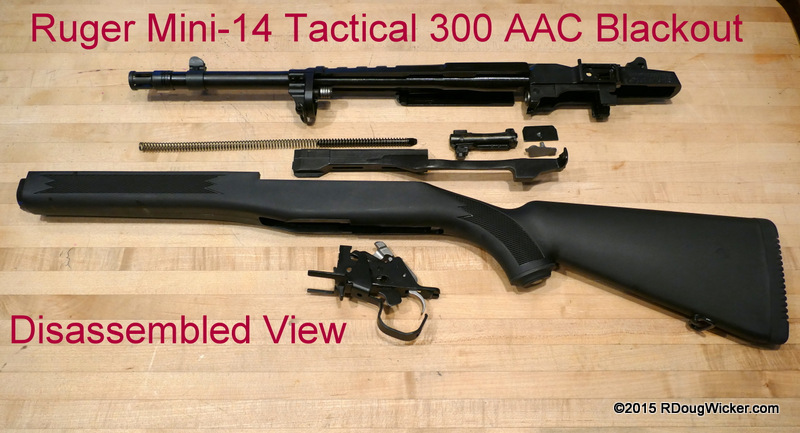 Beyond military applications and up until the release of this new Mini-14 the 300 AAC Blackout has been mostly aimed at the existing civilian AR market (civilian semiautomatic versions of the M16/M4 platform). Not anymore. 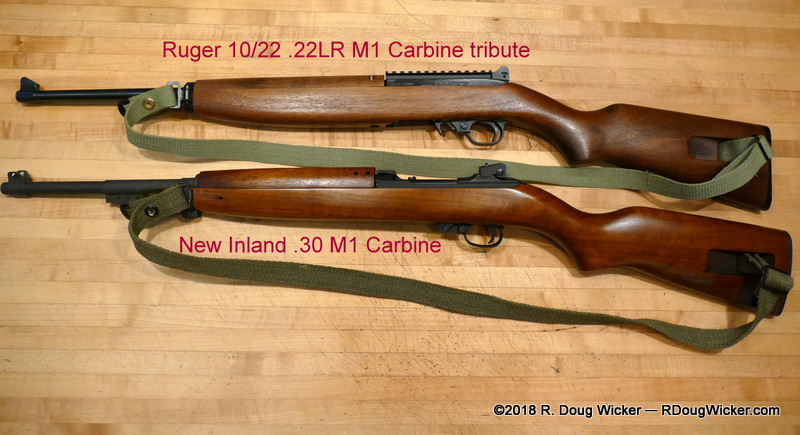 Now for the first time it can be used in the proven and arguably more reliable Garand-style action of the Mini-14. 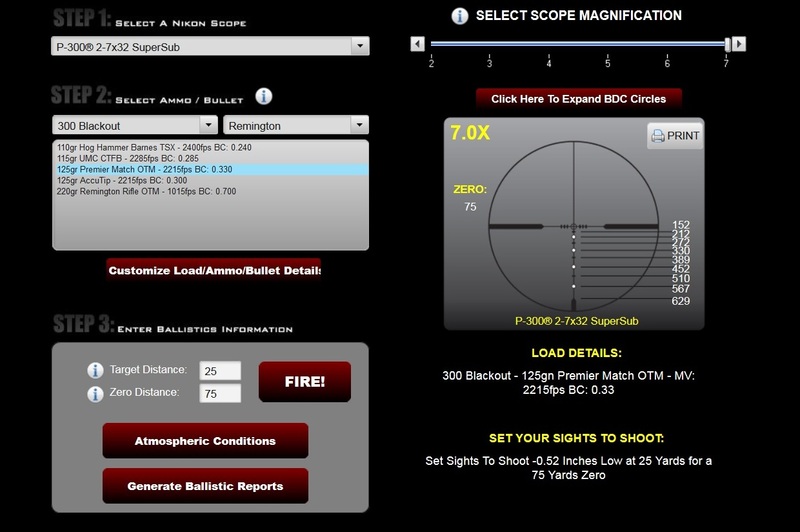 But if you’re looking for reliability, read on for my review of the worst ammunition I have ever encountered — Remington’s UMC 120-gr OTFB (Open-Tip, Flat-Based) 300 AAC Blackout supersonic ammunition. How does it shoot? When the ammunition works, pretty darned good. Out of the box and with no adjustment of the sights. I was able to score fairly tight groupings within around six to eight inches of the intended point of impact at an estimated range of about 60 feet/18 meters. (UPDATE: Bear in mind that I was testing here for function rather than accuracy. This grouping was done with the included iron sights, straight from the box, rather than a scope. Additionally, the rifle was not benched for accuracy. In my future in-depth review, I suspect groupings should fall well within two-inches at 100 yards, but this has not yet been confirmed.) Recoil is surprisingly light. Recovery and reacquisition of the target was quick and effortless. 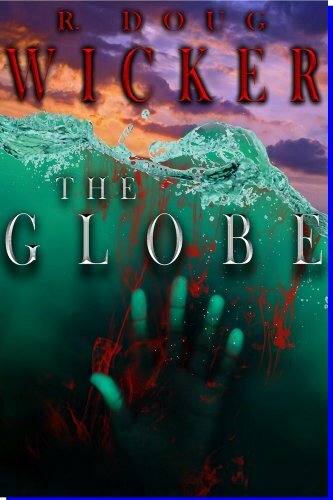 The trigger is good, but somewhat shy of great. 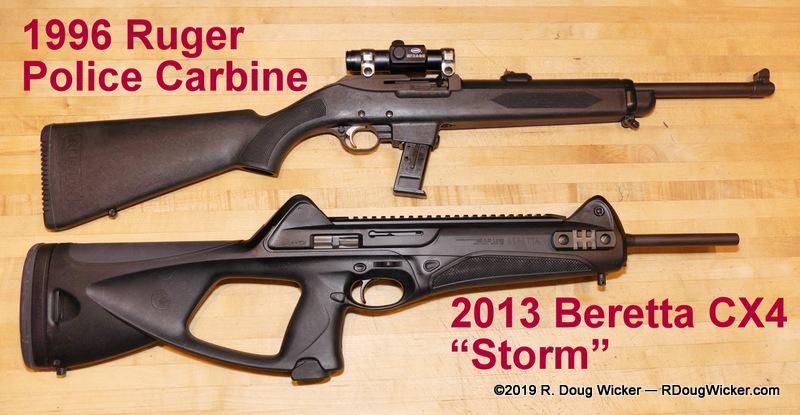 The trigger is definitely better than on a Beretta CX4 9mm carbine, but this is a longer range weapon so that should be a given. 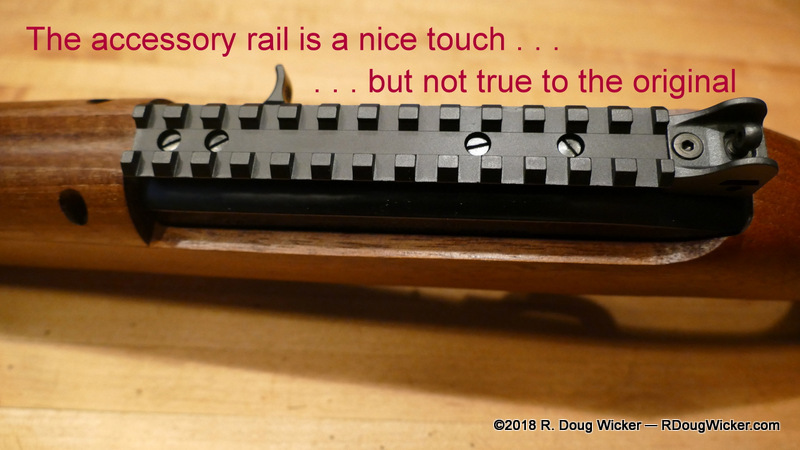 The manual safety is easy to reach and to manipulate with the trigger finger, but deactivation does require insertion of the trigger finger into the trigger guard — make certain the weapon is pointed in a safe direction and on target before deactivating it. 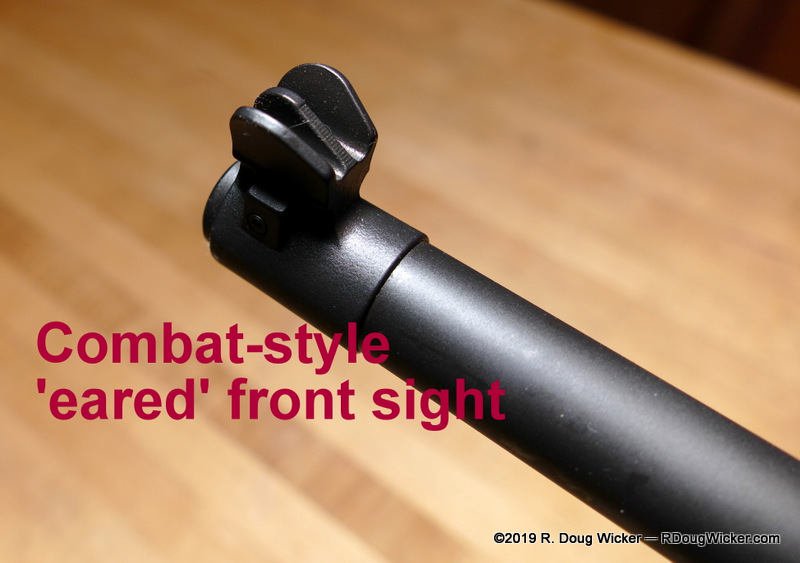 The installed iron sights have protective ears for both the front blade and the rear aperture. 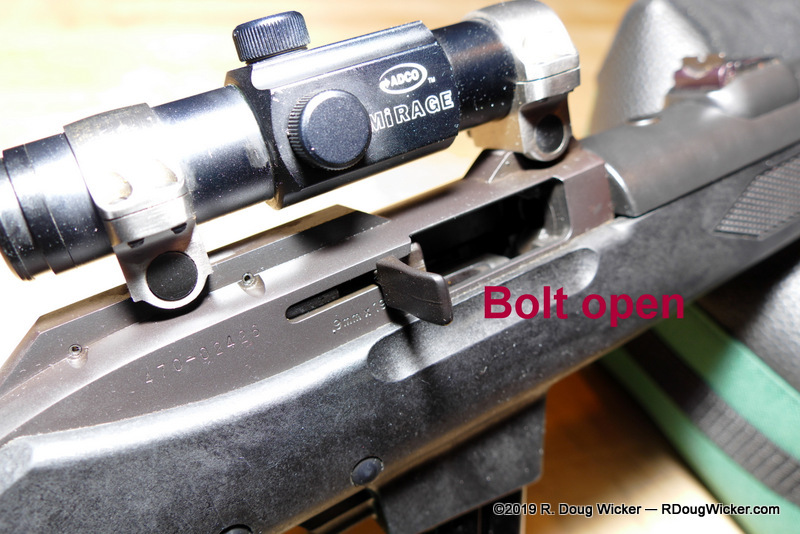 Sight adjustments are available for both windage and elevation using the included hex wrench. Disassembly, cleaning, and reassembly is fairly straightforward. It’s certainly much simpler than, say, an M1911A1, but not as simple as most modern handguns. 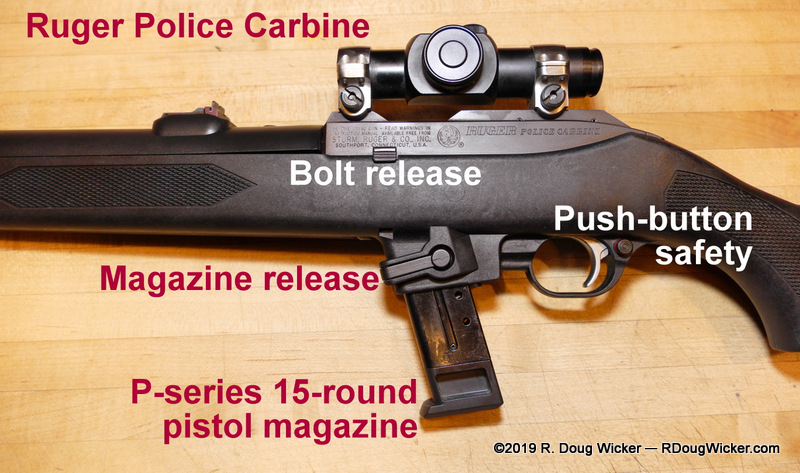 All you need is a ¼-inch punch to break down the rifle, and Ruger has put up videos on YouTube to walk you through it all. 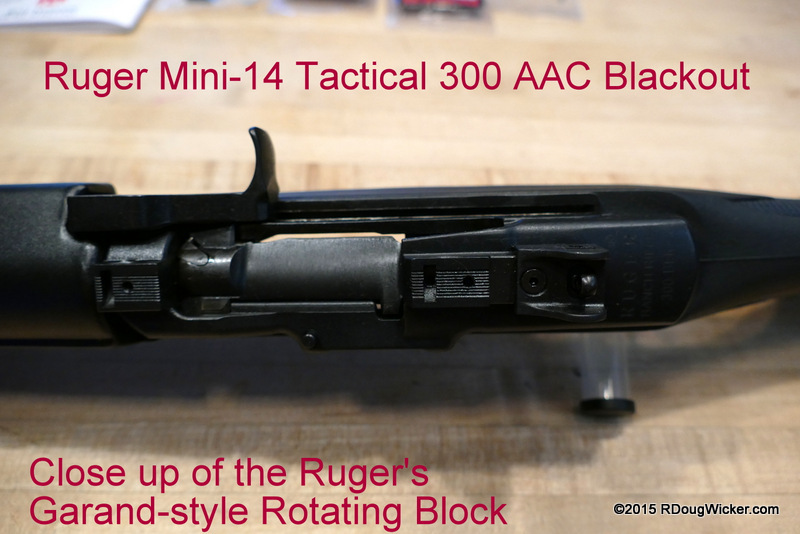 A quick word about the Garand-style gas operating system of the Ruger Mini-14 300 AAC Blackout: This system has been carefully tuned at the factory to handle unsuppressed supersonic loads and suppressed subsonic loads. 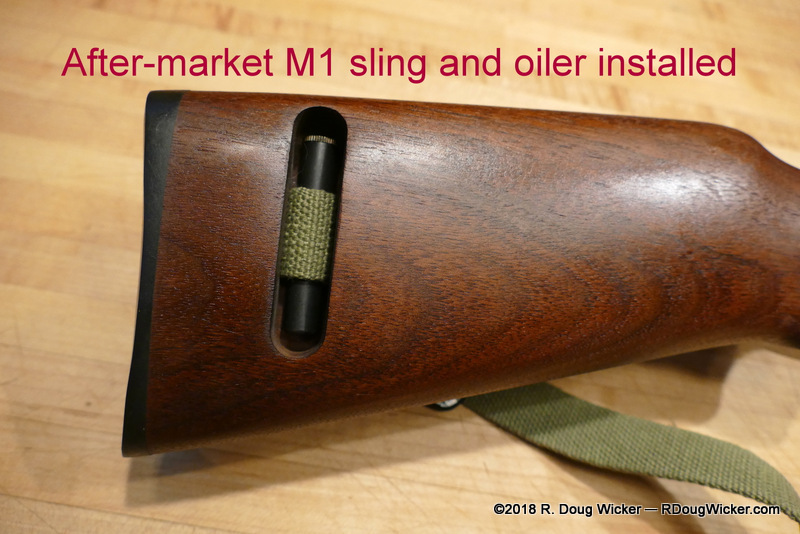 Further adjustments not possible at home, and unnecessary at any rate as long as you remember to run suppressed with subsonic ammunition or unsuppressed with supersonic loads. Failure to follow this basic advice may result in unreliable ammunition feeds into the rifle. As I don’t (yet) have a suppressor, I cannot validate for you the reliability of the Mini-14 300 AAC Blackout using subsonic loads. Result: Repeated blown primers resulting in jamming of the weapon. Never in my entire shooting life have I ever had so much as even one blown primer, so it took me a while to realize what was going on, but in twenty rounds I had somewhere in the vicinity of five primers blow out of their respective casings. 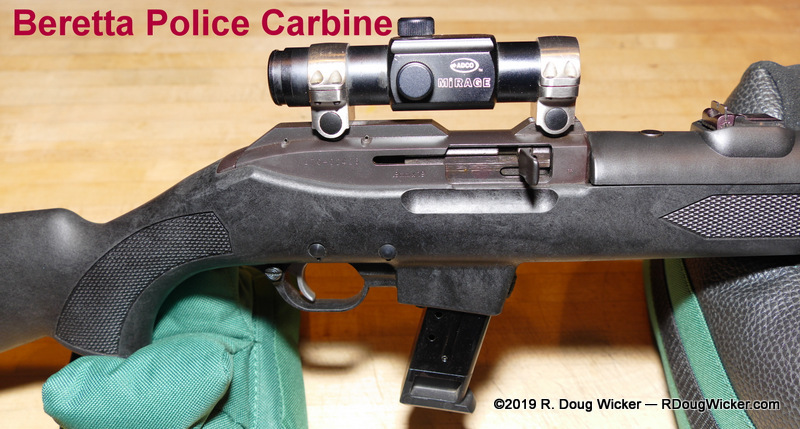 Later disassembly of the rifle for cleaning and inspection revealed no damage to the rotating block and firing pin, but Remington definitely got an earful on their ammunition and the remaining two boxes will be returned for evaluation. The lot number, for anyone interested, was A333-7 0360-1, but from my experience I’m not going to trust any Remington 300 AAC Blackout ammunition regardless of lot number. 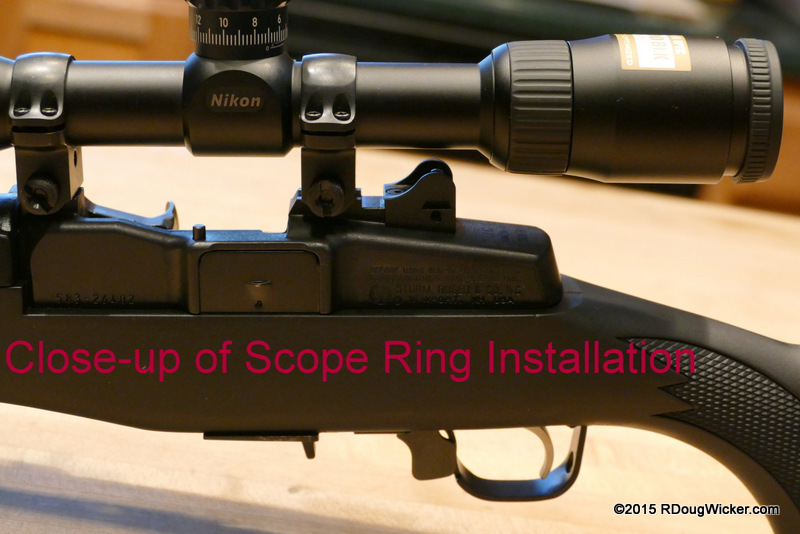 Installation of the P-300 BLK using the scope rings included with the Mini-14 was fairly simple and straight forward. I did figure out one nifty trick, however. First attach only the front scope ring to the P-300, but don’t tighten the top of the ring just yet. Next place the scope ring on a flat surface. 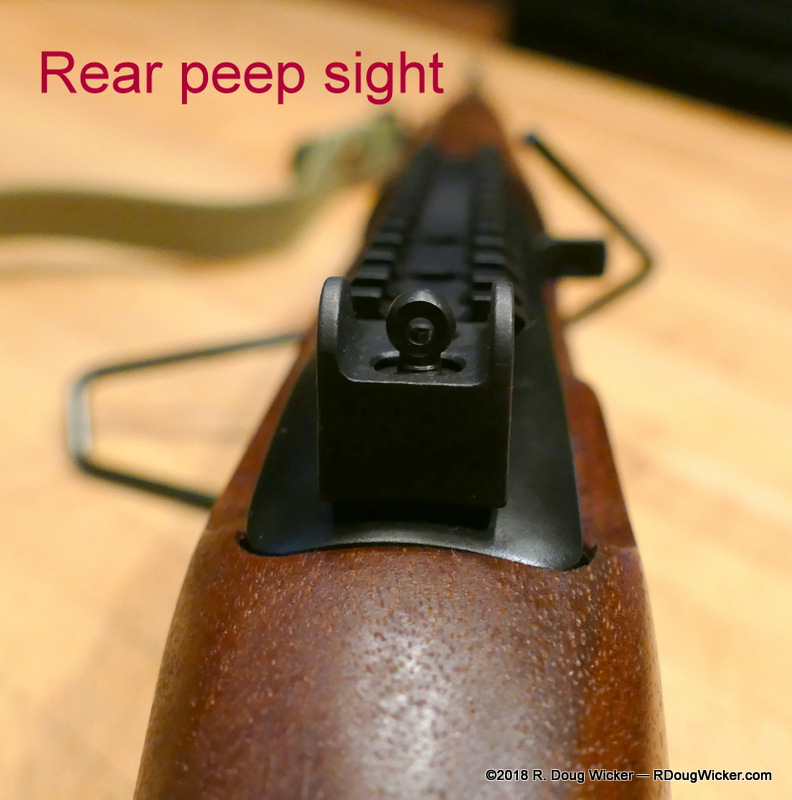 Use a small level and check for level by placing it horizontally across the windage adjustment turret, turn the scope until level is achieved, and tighten down the top ring. 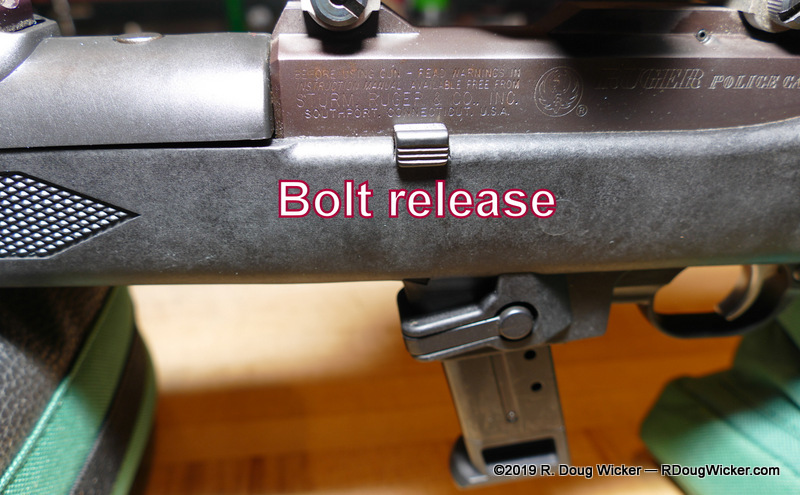 Now install the rear scope ring onto the Mini-14, then position the front ring/scope assembly. 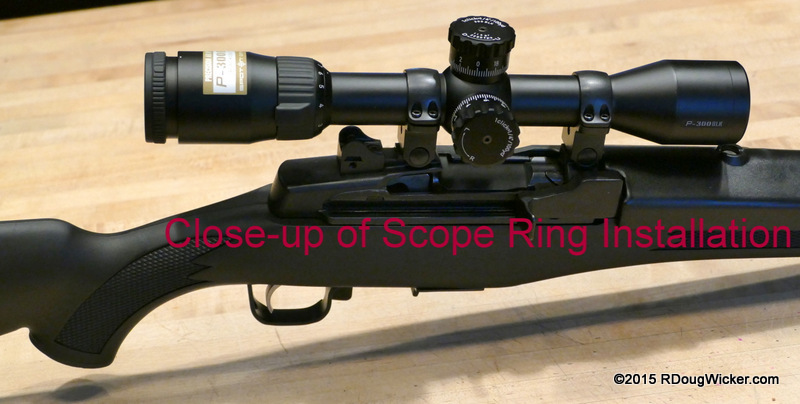 Place the rear top scope ring in place and tighten down. 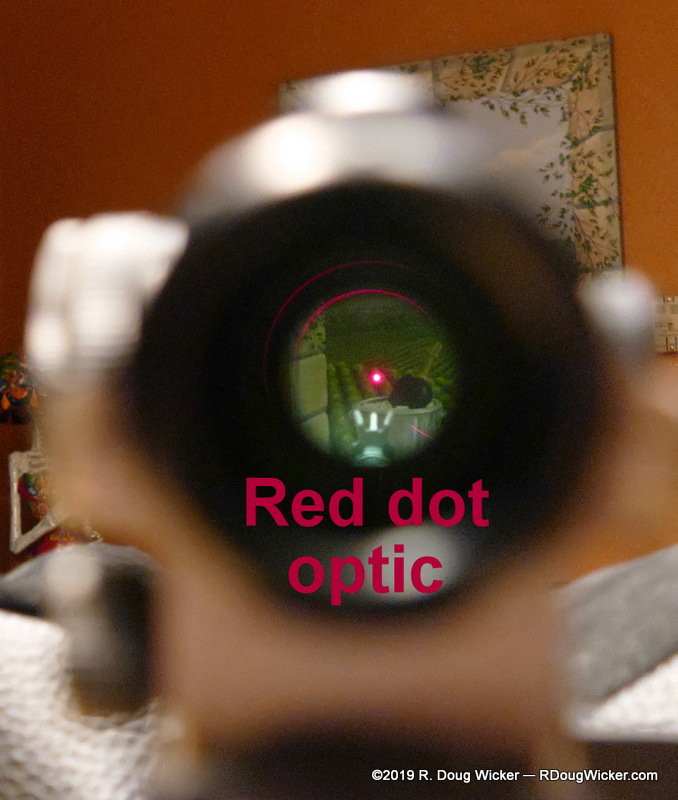 This was much easier than following the Ruger instructions for scope mounting, and it assured that the reticle would be perfectly level once the scope was installed. I will evaluate this Mini-14/Nikon P-300 combination at some point in the future, probably after I’ve found a good ammunition for the rifle. 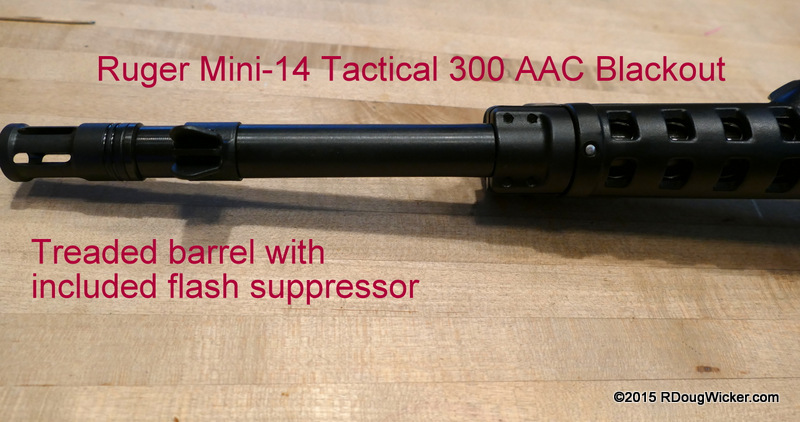 Until then, I hope you enjoyed this first look at the Mini-14 300 AAC Blackout. 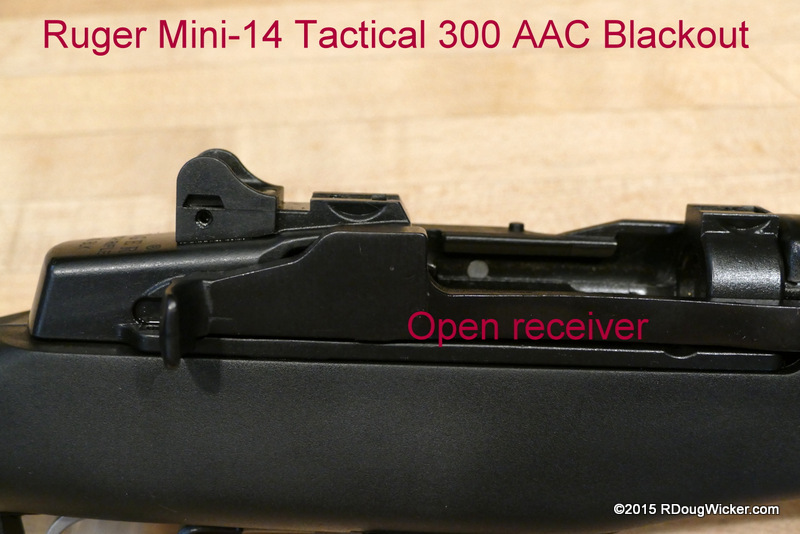 Addition: I was unable to get decent video on the above firing outing of the Mini-14 300 AAC Blackout in action. I’ll do that in my future in-depth review now that I’ve acquired some SIG 124-grain Supersonic 300 Blackout Elite Performance ammunition. 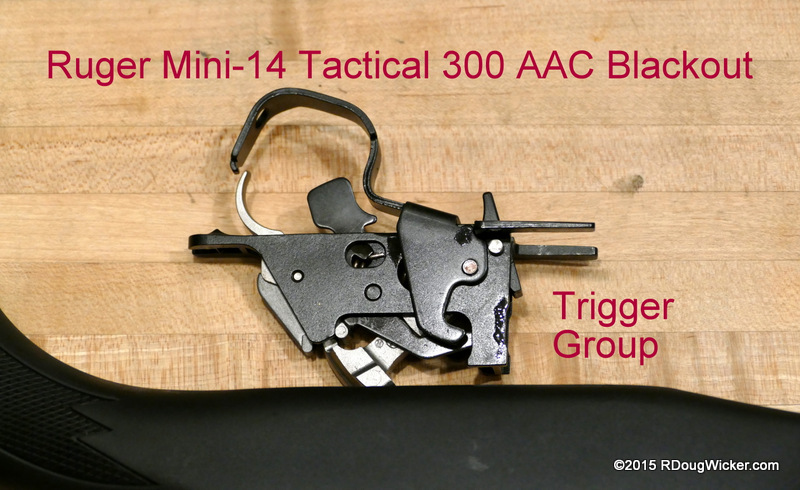 Until then I’m linking below to a brief video supplied by the gentlemen over at Tactical Life, who are preparing their own review of the Mini-14 300 AAC Blackout. Enjoy.